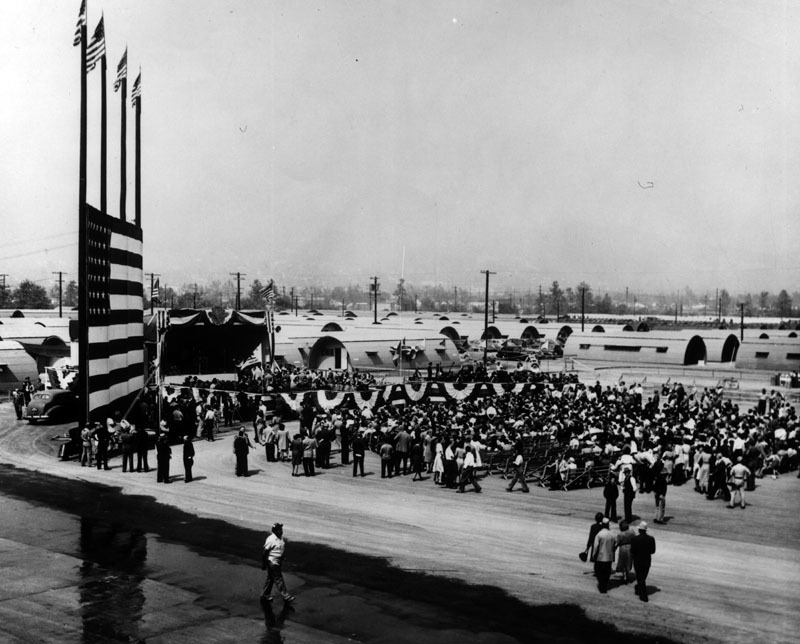 With local veterans returning home to Los Angeles after World War II and still more deciding to settle permanently in the area, the already dire housing situation became critical. It was a nationwide problem, but one that admittedly hit L.A. particularly hard, leaving local and federal officials scrambling to find solutions. 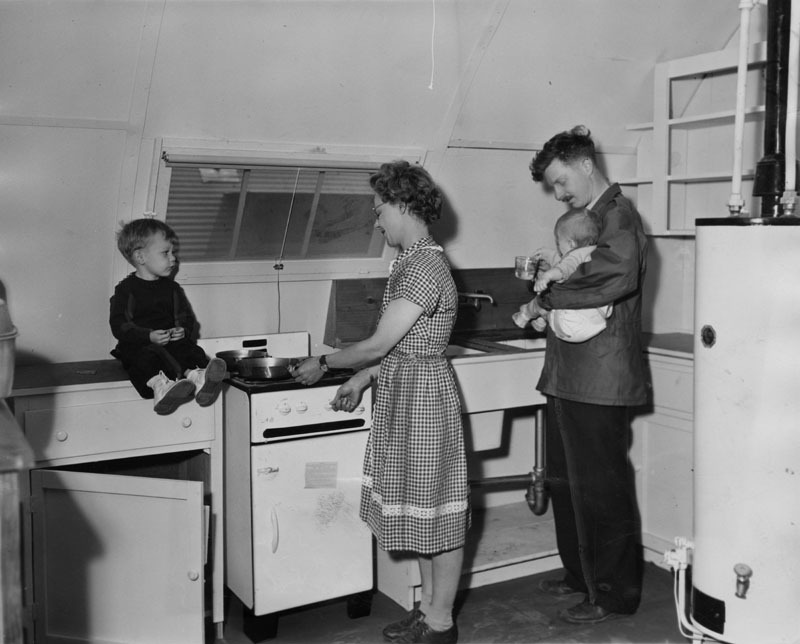 In late December 1945, the Federal Public Housing Authority announced that Los Angeles was eligible to receive surplus military dwellings, such as Quonset huts and barracks, along with funds to convert them to temporary domestic use. City and County officials only needed to provide the appropriate sites and utilities. In early January, the County Board of Supervisors voted to let the local Housing Authority have a 160-acre tract of land near Griffith Park, the old National Guard Airport, for temporary emergency veterans housing. 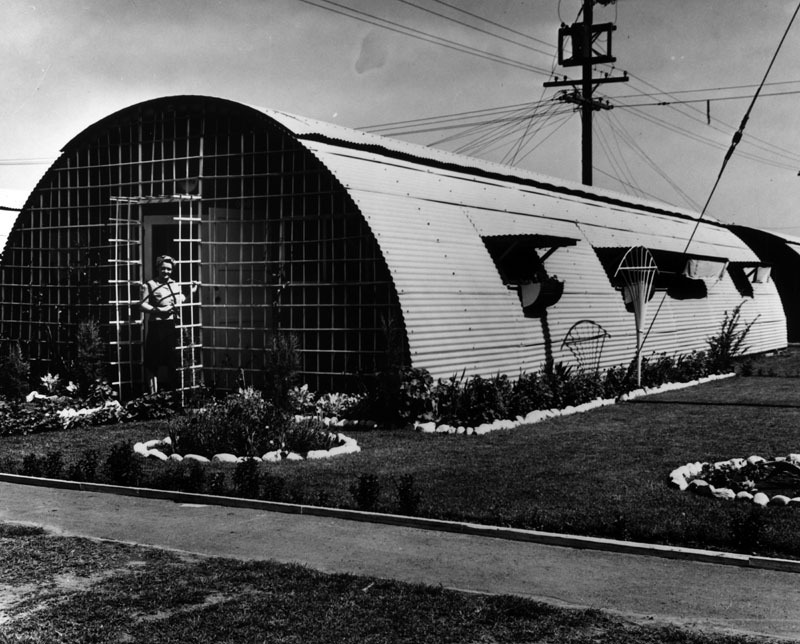 At nearby Port Hueneme, surplus Quonset huts were earmarked for the City’s use as soon as the site could be readied. The cost of tearing down, moving, and reassembling the units was estimated at $1800 each. 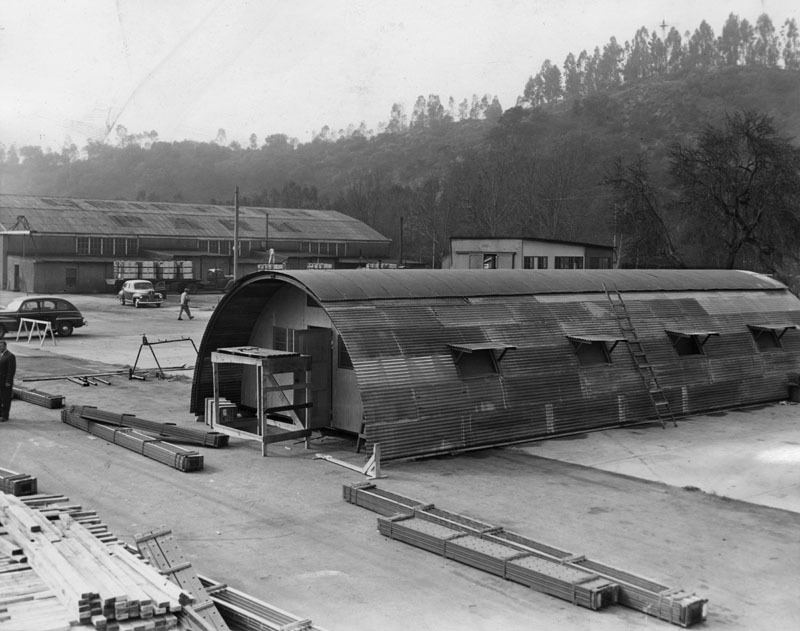 Surplus Quonset Huts at Pt. Hueneme. USN photo. 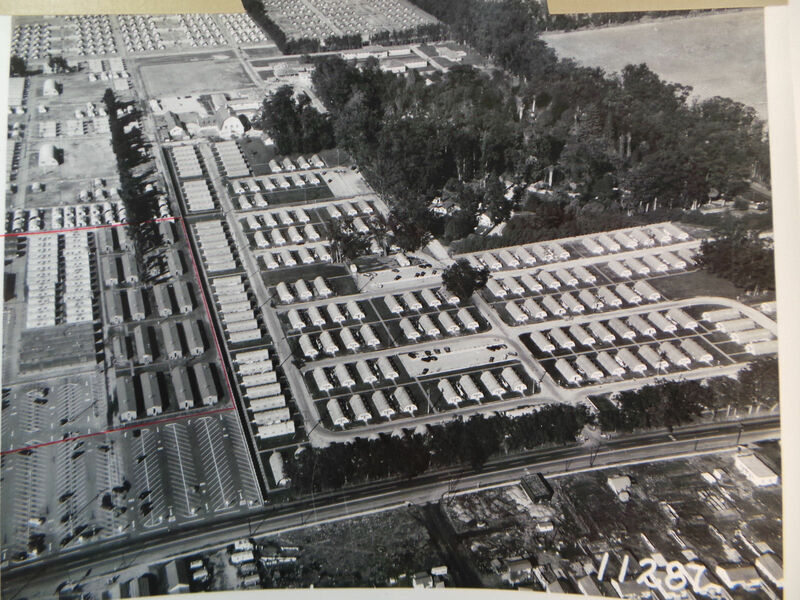 With federal, state, and local funds secured, in February the first batch of what would ultimately be 750 Quonset huts arrived at the Griffith Park site, to be named Rodger Young Village in honor of war hero Rodger Young. The huts would be converted into duplexes, for 1500 family units to house an estimated total population of 6000 residents. Rodger Young posthumously received the Congressional Medal of Honor for gallantry in in action on New Georgia, Solomon Islands, July 31, 1943. There were other Rodger Young housing projects elsewhere in the US. 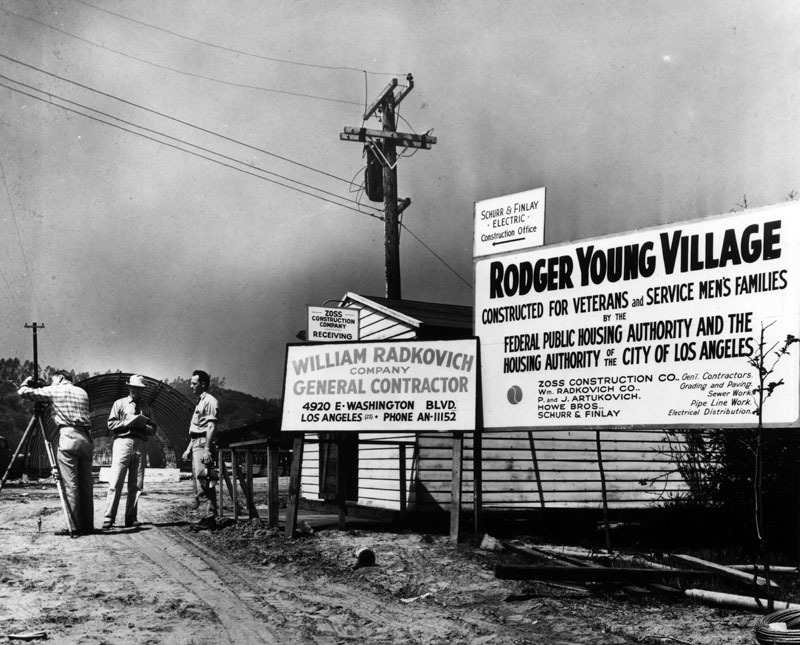 Construction begins on Rodger Young Village, 1946. 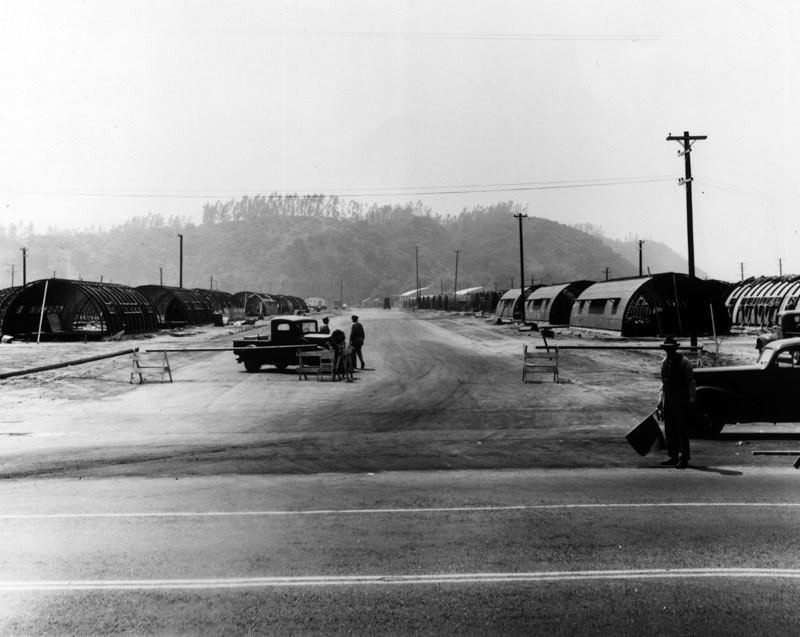 Quonset huts from Port Hueneme being converted to domestic use at Rodger Young Village, 1946. 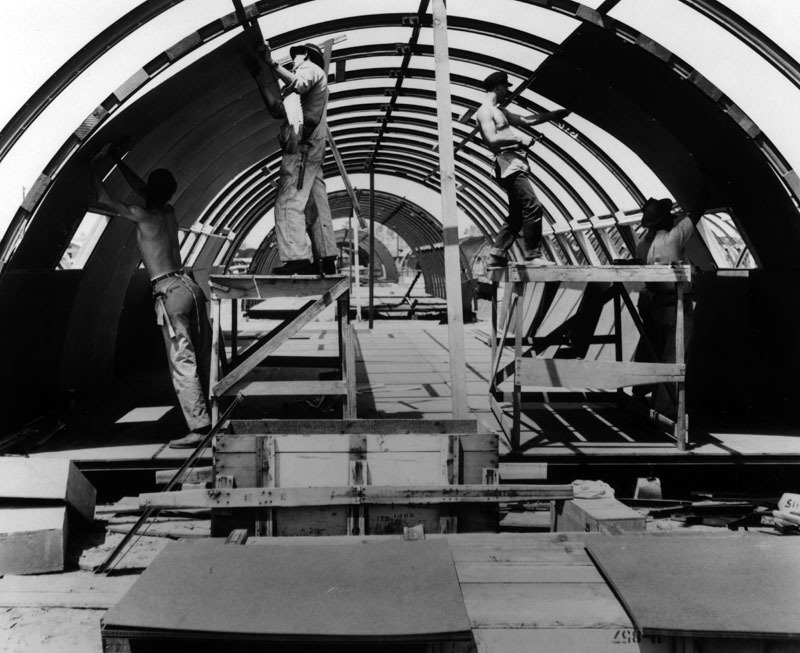 Rehabilitating one of the 750 Quonset huts at Rodger Young Village, 1946. A sample hut nearing completion, Rodger Young Village 1946. LAPL. But, with work underway and the City Housing Authority besieged with applicants, construction was halted by court order on February 26. Police Commissioner Van M. Griffith filed an injunction to halt the project on the basis that the land, which the City had acquired from his father, Griffith J. Griffith was to be used in perpetuity for a park. The City did receive roughly 3000 acres for the park from the late Griffith J. Griffith. The tract on which Rodger Young Village was stand, however, was part of a 350-acre parcel that the City bought from Griffith’s estate in 1921 and had previously been used as an airport by the National Guard. On March 8, Griffith’s injunction was rejected, the Superior Court ruling that Los Angeles’ housing shortage constituted a “calamity” comparable to that caused by natural disasters like the 1906 San Francisco earthquake. 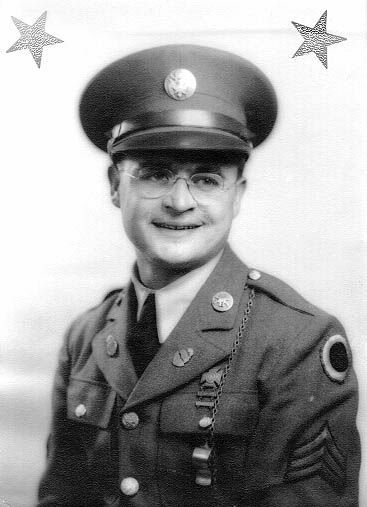 With work resumed, on April 22, the first future occupant of the Village was selected: Virgil Banning, a 34-year-old Purple Heart veteran wounded in the invasion of Italy. Nine other vets were also selected. To date, the Housing Authority had already received 13,000 applications for the 1500 units. Though not all 1500 units were quite ready for occupancy, Rodger Young Village was dedicated on April 27, 1946. 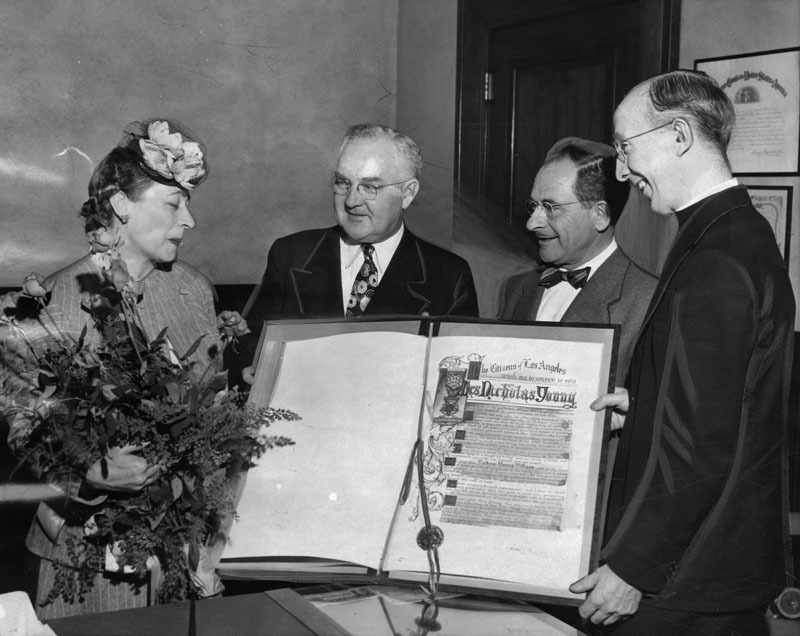 Young’s mother Esther came out from Baltimore to officiate at the ceremony, which were broadcast over the radio. 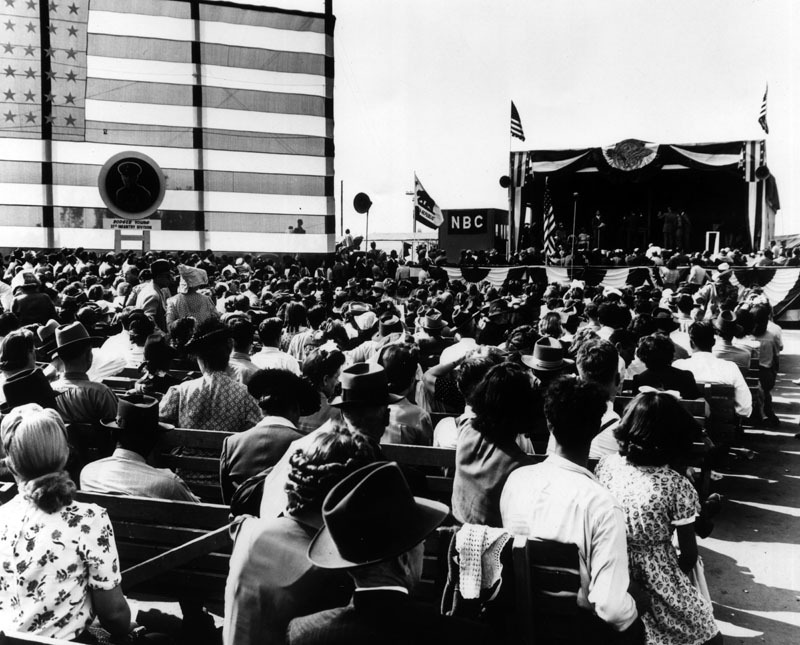 Governor Earl Warren attended, as did General Frank Merrill of Merrill’s Marauders and a crowd of some 2000. 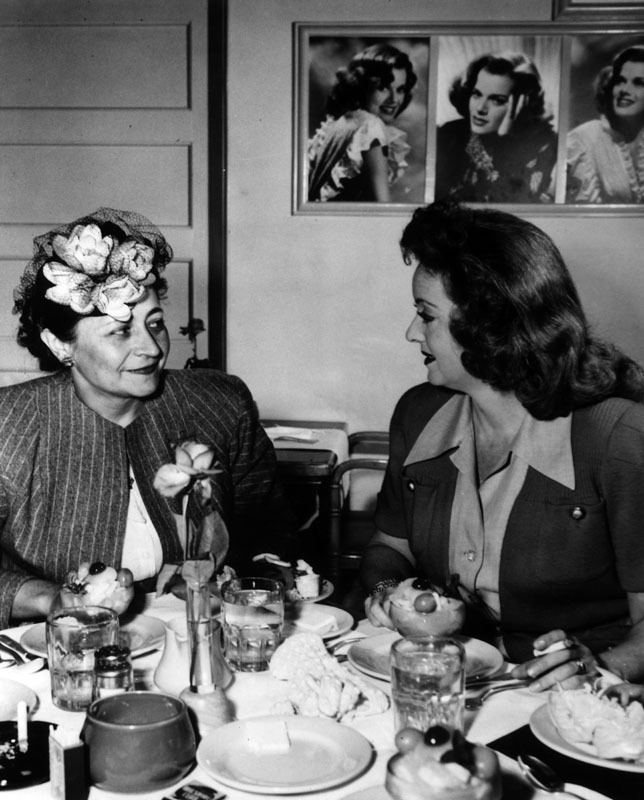 Jack been and Phil Harris acted as Masters of Ceremony and Bette Davis gave a dramatic reading. It was said to be the largest such veteran’s housing project in the U.S. at the time. 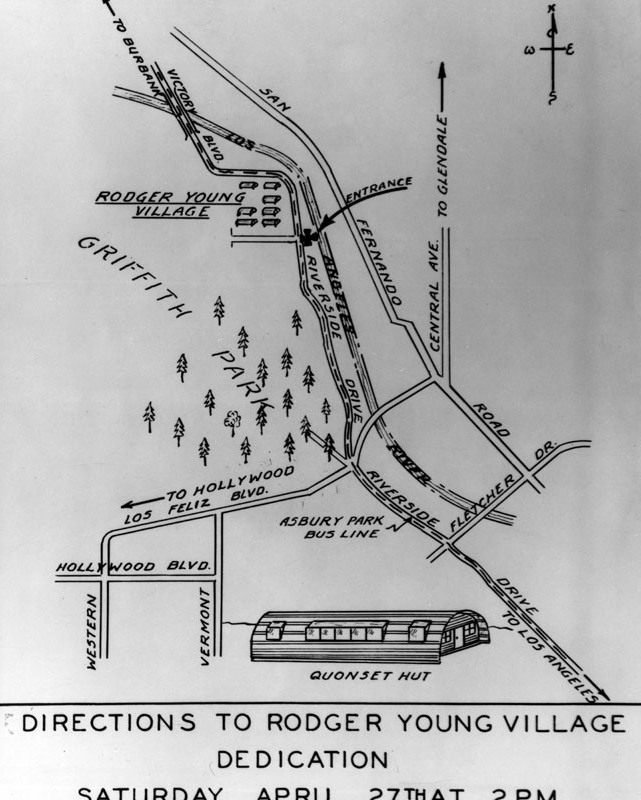 Directions to Rodger Young Village, April 27, 1946. LAPL. A month later, James Parkhill and family became the first “Quonseteers” of the Village, moving into Hut No. 1087 on May 23, 1946. Prior to that, Parkhill, a 31-year old veteran who served with the 102nd Infantry Regiment of the 9th Army in Europe, had been living with his wife and their two small children, ages 1 and 3, in a trailer parked behind the Hollywood Bowl for the past five months. Rodger Young’s first official residents, Mr. and Mrs. Jim Parkhill, young Jim and baby Janie. The Parkhills occupied Hut 1087 until January 5, 1948 when they moved to a new home in Sun Valley. Each of the furnished, two-family units featured two bedrooms- a 9×11 “master” and a smaller one for the kiddies, a bathroom with stall shower, and a combination living room/dinette/kitchen equipped with a fridge and new gas range. Rent, including utilities, was $35 a month. 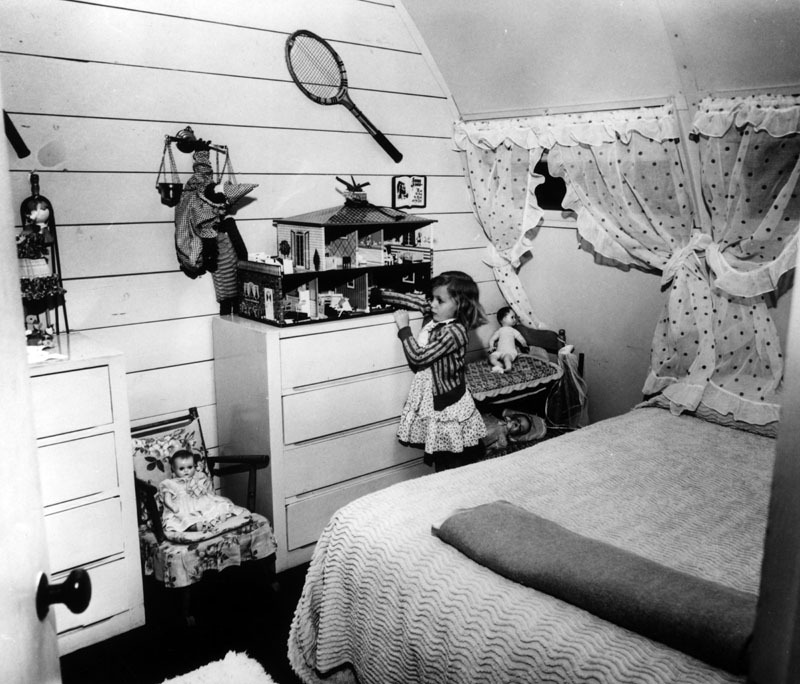 A child’s bedroom in a Rodger Young Village Quonset hut. Units came with basic furnishing, those some homemakers opted to substitute their own. The sloped walls made hanging curtains a challenge. On July 1, 1946, Mr. and Mrs. Al Blanchard welcomed a son, David, the first of many babies to be born at Rodger Young. In September the Village’s K-6 school started session with a student body of 977. In all some 7000 students would attend classes there. Over time the Village would include churches, a post office, a theater, a library, shops and other businesses. Other federal temporary emergency housing projects were underway, most notably Basilone Homes in San Fernando Valley. But while Los Angeles was thought to lead the nation in the number of public dwelling units occupied by veterans, it fell far short of meeting the demand. The City Housing authority reported that it still had more than 15,000 applications on file from veteran families in need of immediate housing. 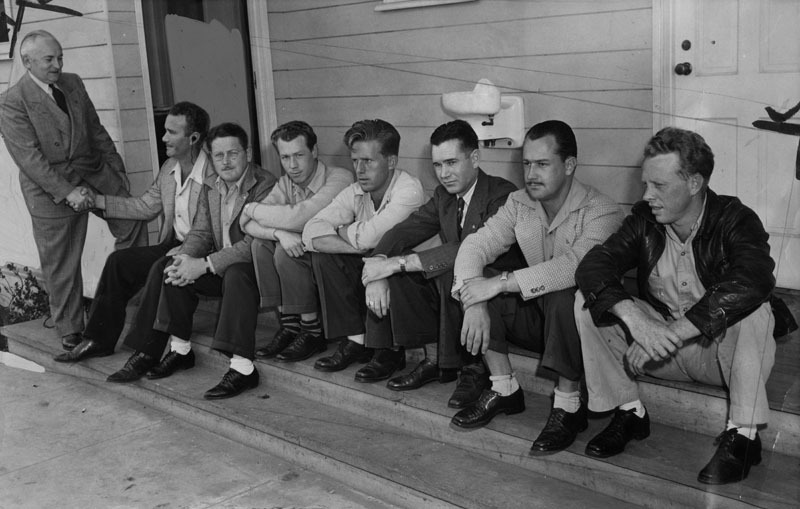 In November 1949, the federal government proposed to demolish all of its postwar “temporary” emergency housing projects, but Rodger Young Village and Basilone Homes were spared as Los Angeles still faced an ongoing housing shortage. The affordable housing to be constructed by the private sector failed to materialize as promised. 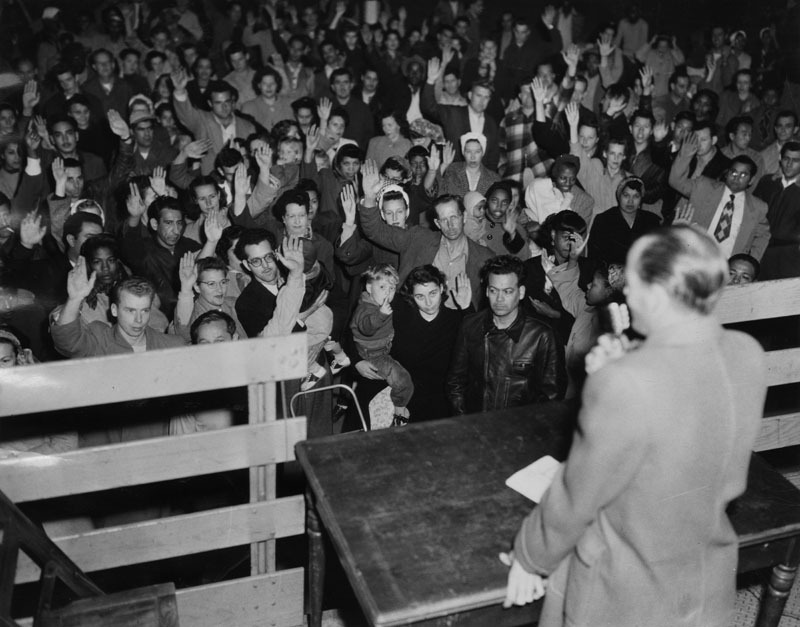 There were increasing bleatings from the right about “socialism” with regard to federally-subsidized housing, and in December 1951, the City Council abruptly reversed its position on a proposed $100,000 federal housing project for the L.A. area, rejecting it thanks to a change in vote by a single councilman. Finally, on January 31, 1952, the City Recreation and Park Commission refused to renew the City Housing Authority’s lease on the Rodger Young property, claiming that the “emergency housing shortage no longer exists” and that the space was needed for recreation. The 1500 families residing there, which now included Korean War veterans among them, were immediately given eviction notices. Veteran’s groups organized a protest. In late March, the City Council and the Park Commission agreed on a compromise that allowed Rodger Young to remain open for another two years while planning for its orderly abandonment. As part of the agreement, no new residents were accepted after July 30, 1953. Residents of Rodger Young, who now included Korean War vets as well as veterans of World War II, protest the City’s proposed closure of Rodger Young Village in 1952. On July 1, 1953, however, the City once again issued eviction notices to Rodger Younger tenants, in accordance with orders of the Federal Housing Authority, to vacate by October 1. The Veterans Affairs and Public Housing Committee of the City Council intervened, and successfully pushed the eviction date for the two properties back to July 1, 1954. In September, however, the Federal Housing Agency ordered that both Rodger Young Village and Basilone Homes be closed by the end of February. Mayor Paulson, who succeeded Mayor Bowron, established a “Relocation Co-Ordination Committee” to assist residents in finding new homes. According to the Housing Authority, of residents who moved out between 1950 and 1953, 818 rented quarters elsewhere in the area; 624 bought new homes; 326 left Los Angeles; 184 transferred to other low-rent housing; and 108 moved in with relatives. Another 515 were unaccounted for. By February 1954, the last residents- Arthur Toy and family- moved out (to their own house in San Fernando). On March 15, the Village, like Basilone Homes, was declared officially closed. Demolition of Rogder Young Village began in April. As of December, only the school buildings remained, and they were in the process of being moved. In May 1957, a short section of Golden State Freeway (I-5) connector traversed the former village site, bypassing a dangerous curve on Riverside Drive. Photos from the Los Angeles Public Library City Housing Authority collection.